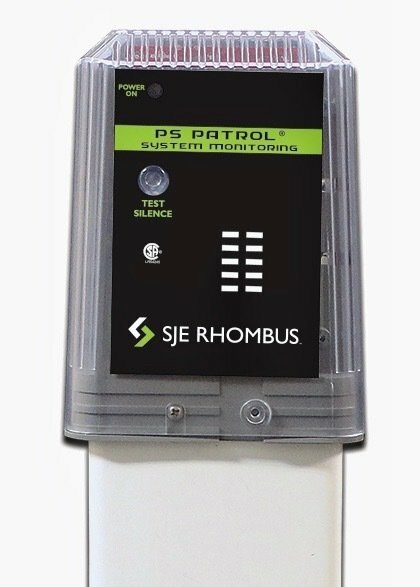 The PS Patrol® system features a built-in high water alarm and provides a convenient location to connect all wiring required for a pumping station installation. The PS Patrol® system employs a receptacle to accept a 120 VAC pump and piggy-back style pump switch. The sleek, angled design of the clear enclosure includes a removable cover for easy access for field wiring. All internal components are sealed within the cover for protection from the elements. The red LED illuminates the cover in an alarm condition for easy 360° visual identification. Available with or without 32” mounting post.